Last night Donald Trump told the people of the United States, “I am your voice.” With those four words, this supporter of censorship and dictators around the world demanded that We the People surrender to a strongman our right to express ourselves. This is what we mean when we speak with our own voice: A banner published by Portuguese newspapers after the Carnation Revolution celebrating the end of censorship. Many commentators have pointed out that Trump has more in common with the resurgent tide of European right-wing authoritarian politicians than with Presidential candidates of both parties in the United States. Having spent a great deal of time living in and studying the history of both Europe and Latin America, I would agree. One could say that there is nothing particularly “American” about Trump, what he says, and what he stands for — except for the fact that so many of his supporters have guns. 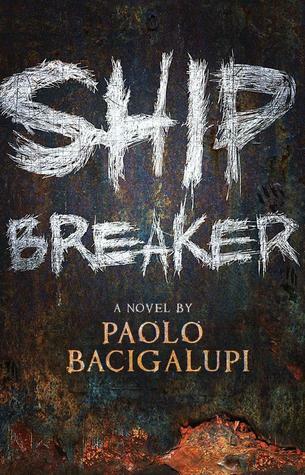 Paolo Bacigalupi’s Ship Breaker exemplifies the dystopian novel of environmental degradation and its consequences. The portrait Trump painted of the United States today could have come from a dystopian novel. As my colleague Madeline Dyer described in her guest post from last year, “the fictitious world can usually be seen as a hyperbolic examination of one negative aspect of our world.” Dystopian fiction is an effective tool for showing readers what can happen if we allow current problems to continue. 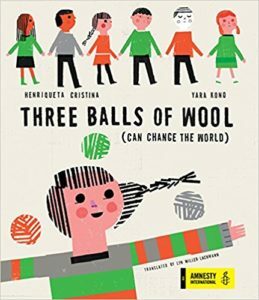 For instance, there are a number of powerful novels that portray the environmental consequences of burning fossil fuels that add to the CO2 in the Earth’s atmosphere. At the same time, dystopian fiction may have the effect of convincing readers that things are worse than they really are, thus making those readers more susceptible to demagogues who promise to fix everything if given the power to silence dissent and get rid of certain scapegoats. 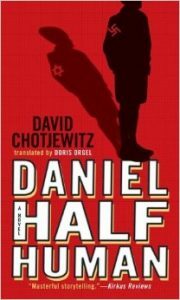 Historical fiction is an excellent counterpoint to these dystopian scenarios because it shows what life was like in real societies where people gave up their freedoms to a dictator, or had their freedoms taken away from them. 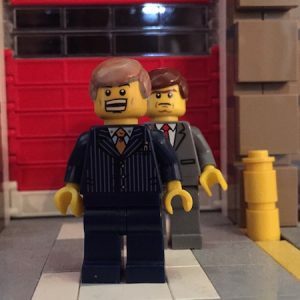 I’m currently working on a novel set in a twentieth century dictatorship — one which many people welcomed at first due to the chaos of a young democracy — but ended up terrorizing the populace, increasing poverty and inequality, and driving the country into decades of an unwinnable war. My research took me to a new museum, where I saw the suffering endured by ordinary people who truly had no voice — because their government had taken it away. A historical novel from Germany that traces the rise of the Nazis from the perspective of two friends, one who then discovers he’s part Jewish. I didn’t hear Trump’s speech live (I saw it recorded) because I had gone to Brooklyn for a meeting of the VCFA Young Writers Network, the organization through which I led two writing workshops at the New Voices School last fall. The VCFA Young Writers Network is looking to partner with existing writer-in-the-schools organizations in New York, Boston, and other cities to expand their reach and give more young people — particularly young people of color — the inspiration and tools to become professional writers. These writer-in-the-schools programs are essential, I believe, and not just because they offer opportunities to young people in underserved communities and expand diversity in a profession that has lacked it for too long. Most of the young writers in these programs will not become professional writers. It’s a brutally competitive field, low-paid for most, with working conditions that occasionally border on the abusive (which tends to happen in highly competitive fields). The situation is no different from programs that encourage, train, and mentor young athletes, few of whom will ever become professional athletes or even win university scholarships. But like sports teams that develop discipline, teamwork, and lifelong fitness, young writers’ programs develop skills and values that go beyond their stated goals. These include discipline and persistence, intellectual and critical skills, an understanding of human nature and motivations, the development of multiple perspectives and empathy, and the recognition that one’s words — one’s voice — is important. Through writing workshops with experienced mentors, young people learn to express themselves and tell stories that contribute to our understanding of diverse perspectives. Beware of orange-haired (or any other-haired) leaders claiming to be your voice. Because then you won’t have one. Our writing workshops are the antithesis of what Donald Trump proposes. In his worldview, only a few people of great wealth, power, and racial, ethnic, and religious purity are permitted to have a voice, and entitled to speak for the rest of us. Some may feel empowered by having the most “successful” in society speak on their behalf because they were never told that their voices mattered. Had they been encouraged to write creatively, perhaps they would have found that voice and realized the joy and power that comes from using it. Perhaps they would have become more open-minded and less likely to scapegoat and demonize if they’d tried writing from different characters’ points of view and turning the “villain” into a three-dimensional character with his or her own dreams, motivations, and struggles. Perhaps they would have become more critical readers — as we writers usually do — less accepting of what others tell us to think and more capable of analyzing for ourselves, based on our research and experience. Creative writing workshops, in other words, don’t only create writers; they create citizens as well. Thank you, Linda! We have to keep those workshops coming!